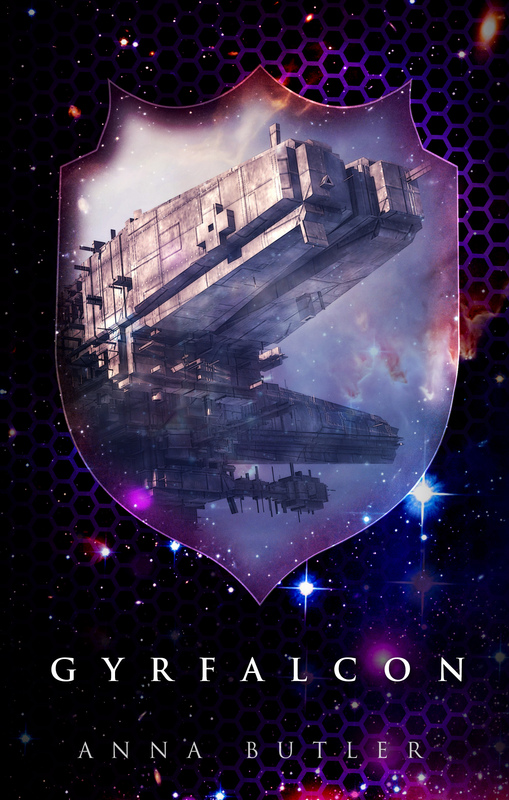 I am very, very proud to show you the cover for Gyrfalcon, the first of my series ‘Taking Shield’, which recounts the loves and adventures of Shield Captain Bennet. Taking Shield is set in a future where Earth is dead and gone, dark for thousands of years. Only a few escaped to start afresh somewhere else. One of her last colonies, Albion, is struggling to survive a war against the Maess. Shield Captain Bennet’s on the front line. Actually, he’s often behind the front line. In Gyrfalcon, he commandeers a Fleet dreadnought to take him into Maess territory to carry out an important infiltration job. A job his long-term partner doesn’t want him to do. A job he can only do by commandeering the ship commanded by his estranged father. And a job he can only do with the diverting, devastating help of Fleet Lieutenant Flynn. Bennet’s life will never be the same again. I am really so very excited. Gyrfalcon – indeed, the whole Shield series – isn’t a romance story, but it is an intense love story. I adore Bennet and Flynn and I hope you will, too. Mmmn…. got me there, guv! I don’t know why I went all high falutin’ extract over excerpt there!